iPhone 4/ 4S Specific bracket. 360° rotating holder allows full adjust ability such as Portrait / Landscape mode. Latch button suction cap to create an ultimate fix on your windscreen. Essential for using SAT NAV / phone calls/playing music & videos while in a vehicle. Black part is ABS material. Base sucker transparent PVC material. Tray (clip) only for Iphone 4/4s. 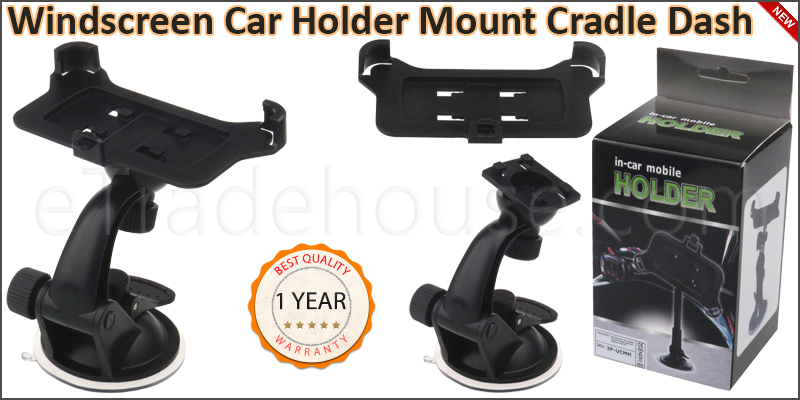 1x Windscreen Car Holder Mount Cradle.